I've shopped at Old Navy for what seems like my entire life. Old Navy always manages to have pieces that work for just about every body type and every age group, while also being fun and accessible. 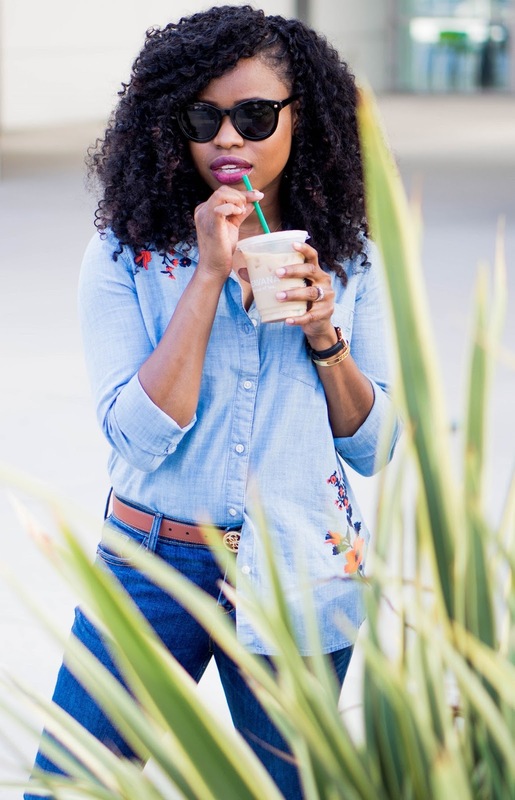 So I'm easing my way into summer to fall transition pieces so I can #SayHi to Old Navy style, and I'm encouraging you muses to do the same. I'm integrating fall staples like the classic denim on denim look, while also incorporating trendy distressed and embroidered details. 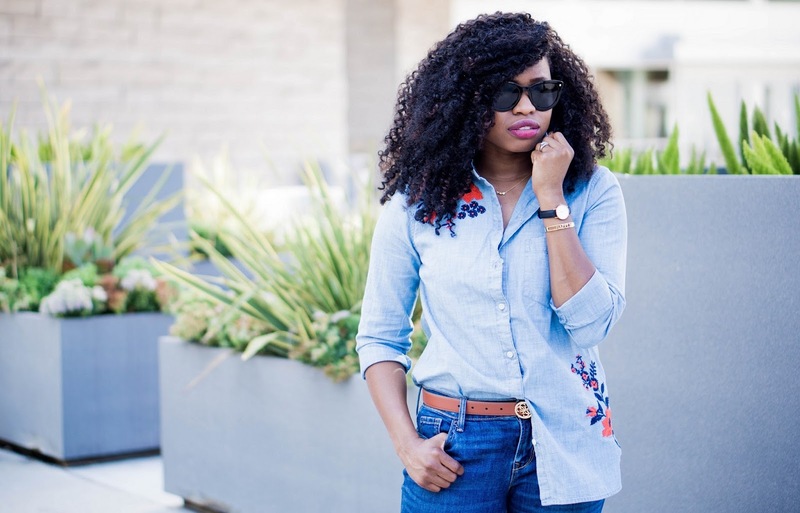 What I love so much about this embroidered chambray shirt is its versatility. In the summer, you can wear it alone and let the romantic feminine embroidery print shine by itself. When transitioning to fall, you can layer the shirt over a tank or even add a scarf that fits your personal style. And this denim on denim style is part of the Casablanca Refresh collection that includes bold statement-making graphics. The top is 100% cotton and the buttons lay flat, which is a total win. 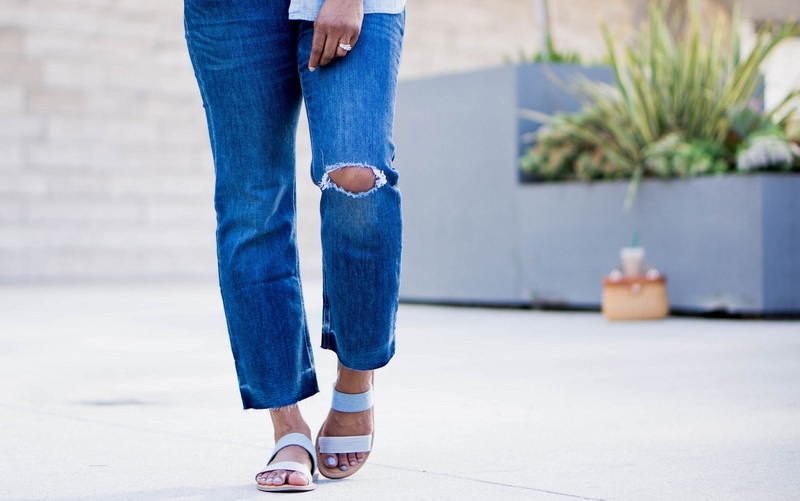 Most of my distressed denim comes in the form of skinny jeans, so I really wanted to flirt with flare ankle jeans this time around. And I absolutely love that these pair are available in tall, regular or petite (I opted for petite). I can actually pull off the ankle flare style since the petite sizing is so accurate (I'm 5'4" and wearing petite size 4). 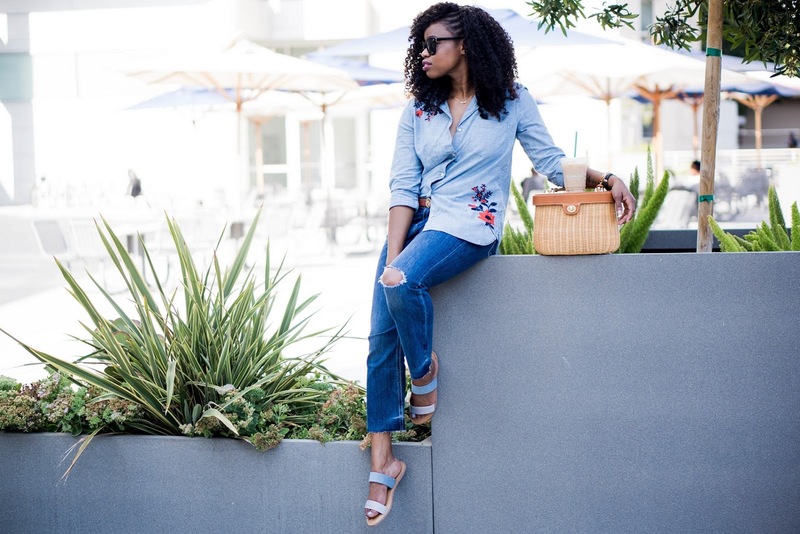 This look would be fabulous with a pair of heels, but I opted for a pair of double-strap sandals because, one, I've been wanting a pair all summer, and two, the chambray stripe detail really tied in the overall look. Also, I really felt like the sandals would better capture my personality while allowing me to truly #SayHi and have fun with my outfit. I also bought a pair of 24/7 Rockstar denim from the Casablanca Refresh line that I can't wait to share with you all soon! And did I mention that Old Navy is having a ton of sales right now, especially for pre-Labor Day? Affordable fashion never looked so good! 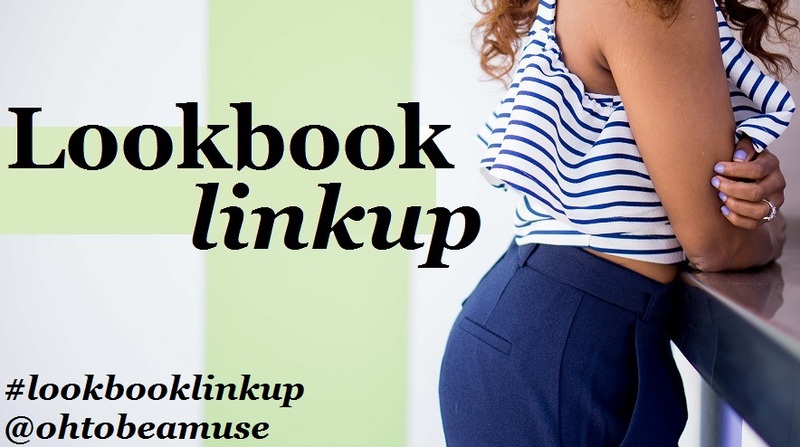 Be sure to head over to Old Navy and get your hands on this collection that's attainable, accessible and trendy. And remember to showcase your individual style and have fun! 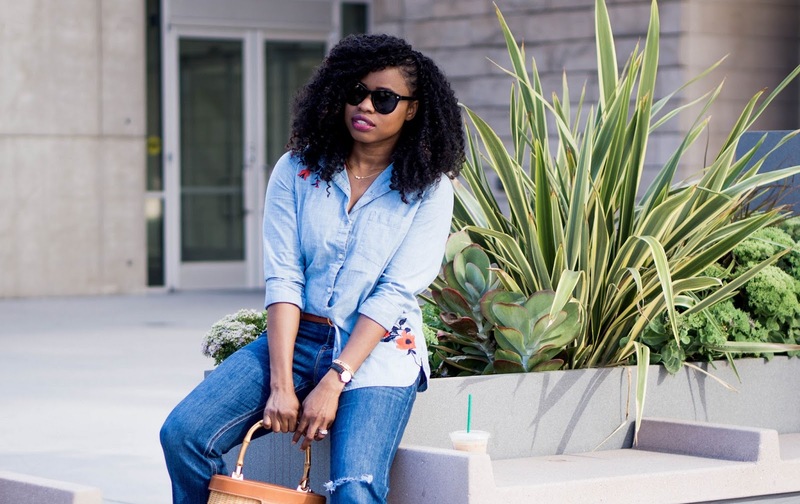 Love this denim on denim look and that basket bag. So cute! I absolutely love everything in this look! That shirt is so pretty, I will have to check into that. And I love the cut of the jeans! Cute shoes and bag too! Old Navy is the best and I love their Rockstar collection! 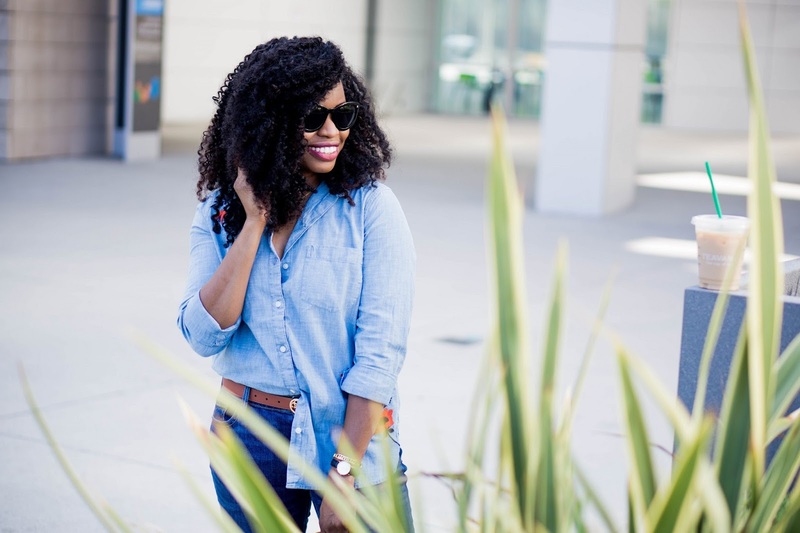 That chambray shirt is so cute! I love the embroidery detail! I love the ease of this look. The colors are so soothing and your pictures have a laid back vibe. I love Old Navy. And those jeans look do cute. Love the embroidery top. Cute outfit. 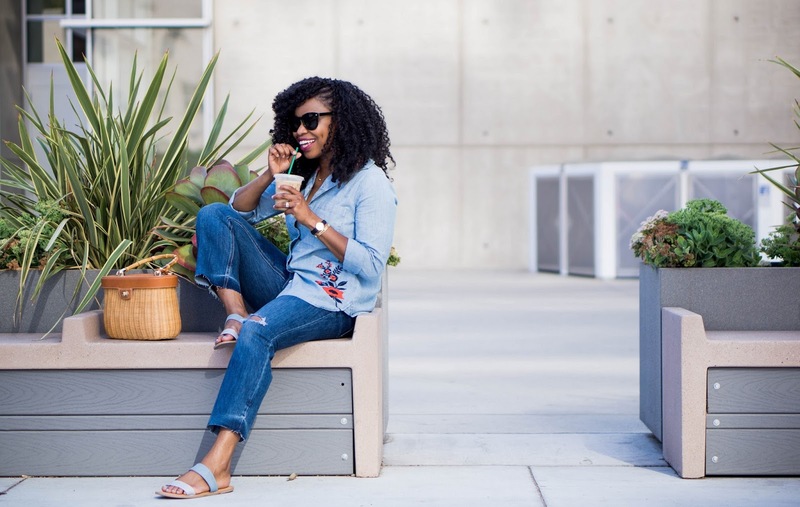 i love the denim on denim on you - i can't believe it's all from old navy - you make it look like a million bucks! i've worn denim on denim lately too & paired it with chambray sperrys so i for one love the look! Love the double denim. 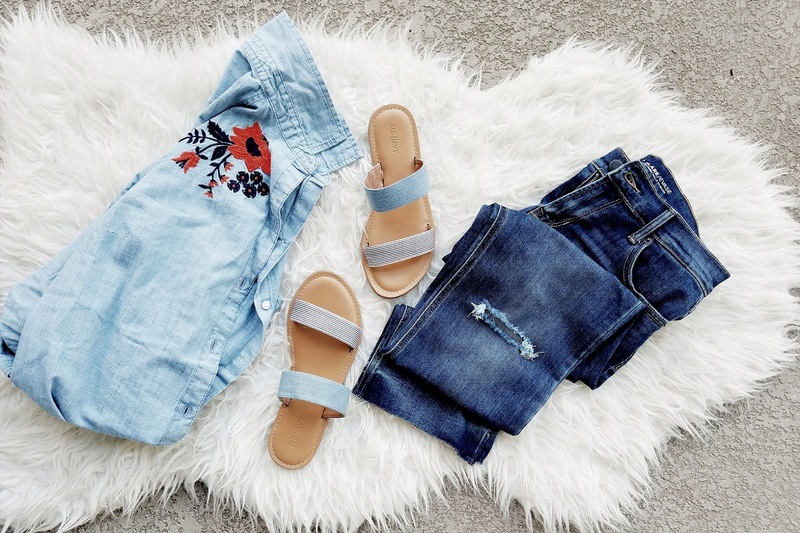 These frayed jeans are so cute! Very pretty Cheryl and never underestimate the power of a half tuck ;) Nicely done. 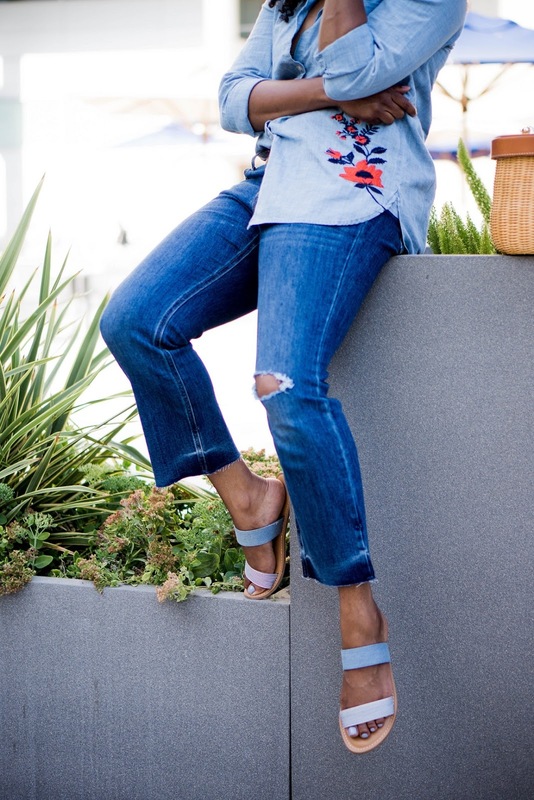 I am loving this denim on denim look and these cropped flares are soo cute!! Love this chic look! That top is super cute! 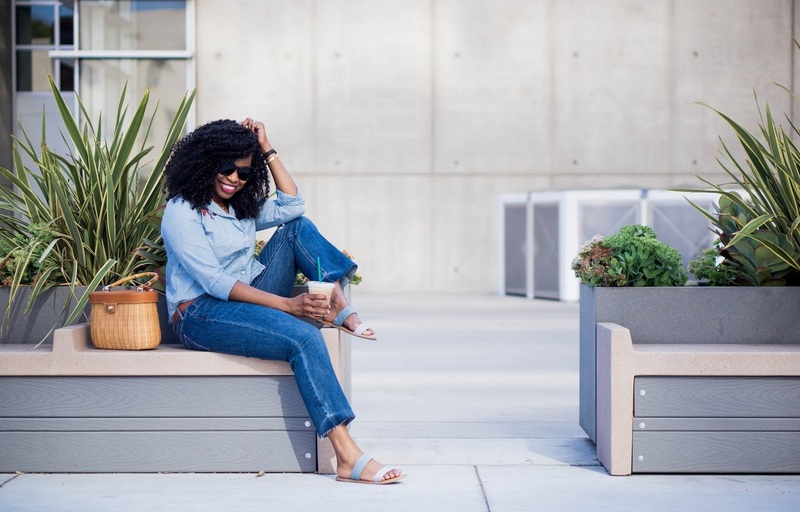 Old Navy is the best for good priced jeans and you look so Relaxed & Chic. I am so loving this take on denim on denim. The embroidery on your top is beautifully done! I love the top! The embroidery is so beautiful! I'm totally loving you style! Love how you paired everything! this is so well done! 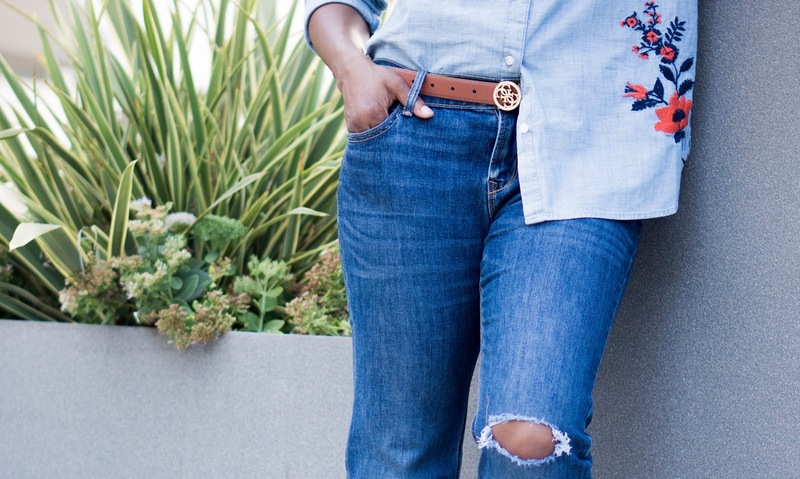 normally i cringe with denim on denim, but this is just so perfect! this top is the cutest!! 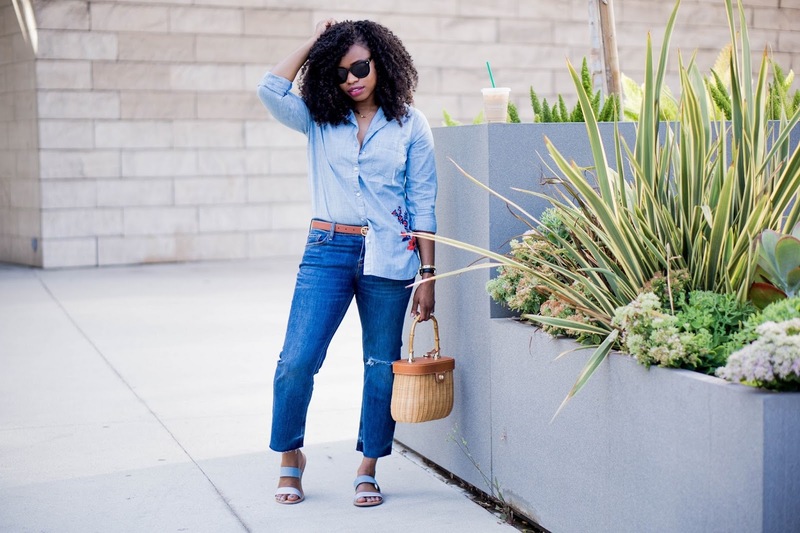 I'm so down for double denim- and these sandals are super cute, lady! 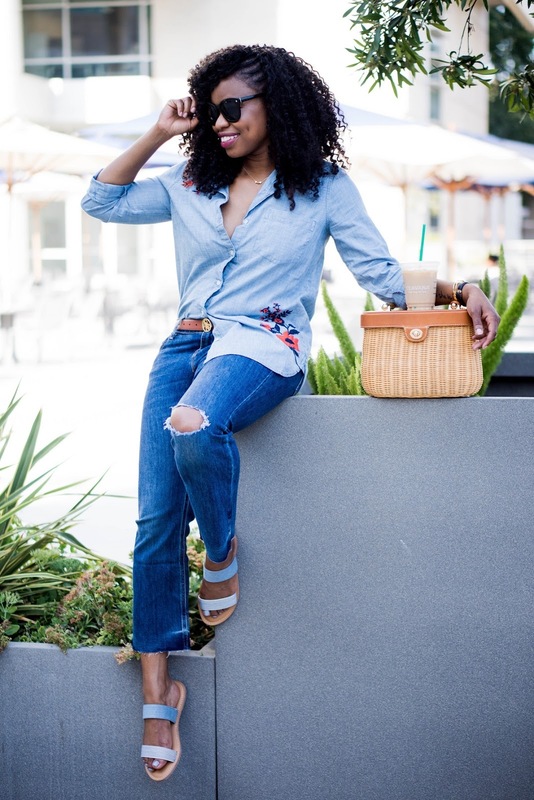 I love denim on denim looks and you are rocking this one!! So cute! 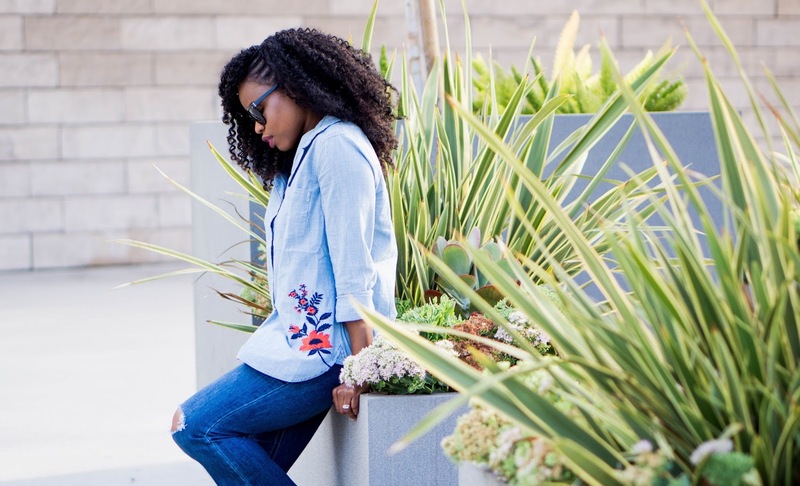 I love the embroidery on the chambray shirt! Denim on denim is always very classy; beautiful Pictures. lovin' the 'canadian tuxedo' look, gf!